ESPN Rapid City, Mt. 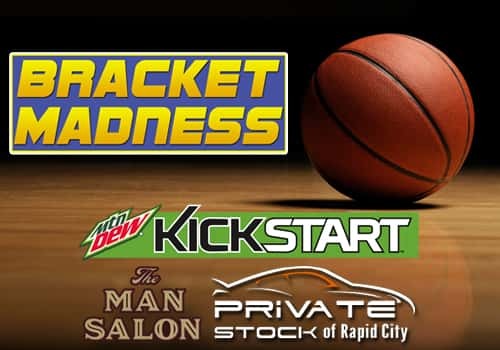 Dew Kickstart, The Man Salon, and Private Stock are teaming up for Bracket Madness! Fill out your bracket for a chance at winning a bucket full of great prizes including the grand prize, five hundred dollars cash! Other prizes include stay and play packages from The Mineral Palace in Deadwood, gift cards from The Man Salon and Scheels, prize packs from Mt. Dew Kickstart and much more! Entries must be submitted prior to 9:00am MDT March 17, 2016. Only one entry per person/email. Multiple entries will be deleted.